One standard alternative to email outsourcing is to setup and manage your own email servers “in house”. While in some cases this may seem less expensive than outsourcing, you might not realize all of the features you sacrifice or all of the hidden costs that you incur if you want to do this right. By outsourcing with LuxSci, you can have email with maximal features at a lower total cost. Download the eBook: Email Outsourcing Guide: When Uptime, Security, Reliability and Service Matter. What if you are “blacklisted” or “blocked” from sending mail? With an in-house solution, your outbound email comes from your ISP’s IP address, which could be easily blacklisted (even if it is not your fault). Additionally, many ISPs block outbound email sent from their customer’s for anti-Spam reasons. What do you do when you suddenly can’t send email? LuxSci high quality premium email services and works to ensure that they do not get blacklisted. LuxSci can also work around blocks should the happen. LuxSci also has services sending outbound email for folks that are doing everything else in-house: anonymous SMTP and High Volume email. Do you have the capacity? Most in-house solutions use a single server and rarely upgrade it. LuxSci will setup servers with all the disk space and horsepower to handle your current and future needs, upgrading and adding servers as needed. Do you have enough servers? Most in-house solutions pile all related software and services onto a single server. This impacts performance and security. LuxSci provides separate dedicated servers for WebMail, email filtering and processing, web hosting, and databases. We add new servers as capacity requirements grow. What if a hard drive or power supply should fail on your server? Many in-house solutions do not use RAID – Redundant disk arrays.. LuxSci’s email servers have RAID disk arrays and redundant power supplies to protect them against these kind of failures. We also perform automatic backups. What if hardware should fail? Most in-house solutions have few, if any, replacement parts available. LuxSci has replacement parts for all servers constantly ready so that any defective part can be replaced within one hour. What if your Internet connection goes down? Most in-house solutions have only a single connection to the Internet – if this goes down, their email goes down. LuxSci uses redundant high speed connections directly to the Internet backbone so that your servers will have lots of fast bandwidth and will always be connected even if major backbone providers have issues. What if the power fails in your building? Most in-house solutions do not have significant power backups to handle extended power outages. LuxSci employs redundant fail-over UPS power supplies and electrical generators to make sure that electricity is never an issue. Do you trust everyone on your IT staff? With in-house email services, your IT staff have potential access to everyone’s email, including the “boss’s”. They can read and copy messages, delete messages, and easily created forged messages. When email is outsourced, a third party is in charge of everything and there is much less risk of your IT staff accessing information that they should not have. What if an unauthorized person gets physical access to your servers? Most in-house solutions permit all employees access to their servers, leading to many security problems. LuxSci’s servers are in a secure data center that is inaccessible to anyone but authorized technicians; biometric scanners are employed as part of a two-phase access system. None of your staff have physical access to anything. What about backups and archival? Most in-house solutions perform only simple backups and these are usually kept in the same location as the servers. These backups are also rarely tested…. until they are needed. Additionally, the backups and archives are accessible by IT staff and thus suffer from confidentiality issues and issues with respect to immutability. LuxSci uses separate backup servers both on-site and off-site for maximum data protection. We also provide permanent archival options. What about email bombs and email denial of service attacks? 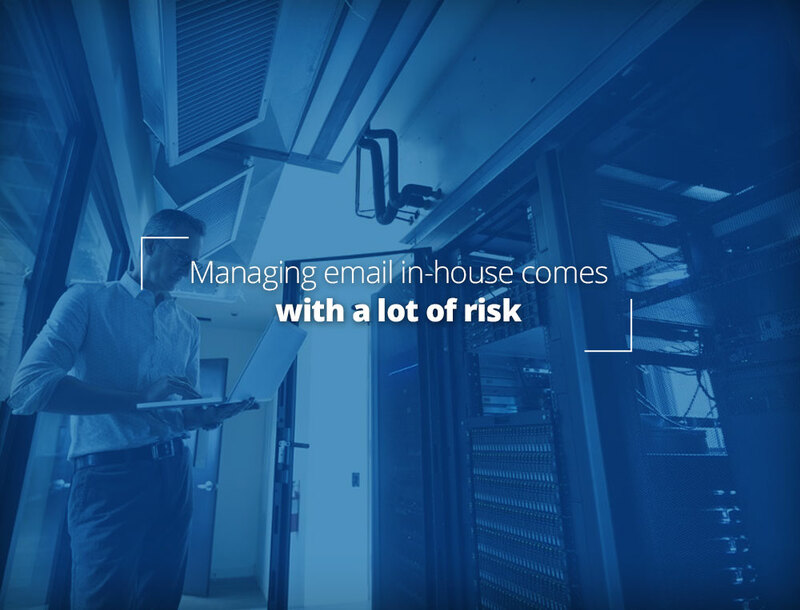 Most in-house solutions do not have the capacity to handle the effects of massive amounts of email that can arrive during a denial of service attack or due to a new email worm. This causes an immediate outage until the problem can be resolved. LuxSci uses a large array of servers dedicated to handing your inbound email which can absorb many kinds of attacks. These servers are also separate from your email server. 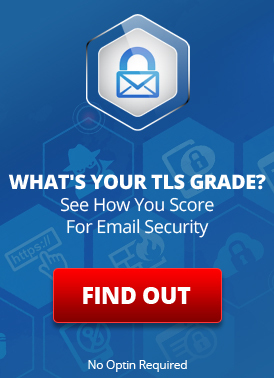 Premium Email Filtering users are implicitly protected from any kind of email attack. What do you do about serious new viruses that come out and which are not covered by your software? Most in-house solutions are out of luck until they upgrade their software. Most in-house solutions do not employ people dedicated to 24/7 Spam and Virus protection. Email Defense employs a team of technicians who monitor Internet email 24/7 and implement filters against new viruses and threats within hours of their appearance – well before the official filters are available from companies like McAfee and Sophos. What if your users have questions or problems? Your in-house staff must be ready to support your users and their issues whatever and whenever they may be. LuxSci’s 24/7 technical support consists of experts in email services, who are dedicated to supporting users. Why should you spend time and money educating your staff on non-core business services? What if there is a problem in the middle of the night? Most in-house email will be down until sometime the next day (or later) when an on-staff technician figures out how to fix the problem. LuxSci’s data center technicians are monitoring the servers 24/7 and can respond to serious server issues within minutes of their appearance and resolve them any time day or night — even if this means replacing hardware. What if you need new features or services? This will require you to have developers on staff who can create the features you need. Most in-house solutions lack the extensive feature-set that LuxSci already offers. LuxSci is constantly adding new cutting-edge features and services, many of which are based on client requests. A solid in-house solution requires a large ongoing hardware expenditure to provide a robust infrastructure. A team of well trained technicians is also required to provide the services, support, and development necessary for system reliability and for satisfying the dynamic current and future needs of your organization. Therefore, we welcome you to rely on LuxSci as your email and server solution so that you don’t have to worry about costs and complex details, and so you can focus on your business. This entry was posted on Thursday, February 22nd, 2018 at 7:59 am	and is filed under AAA Featured Articles, Business Solutions. You can skip to the end and leave a response. Pinging is currently not allowed.